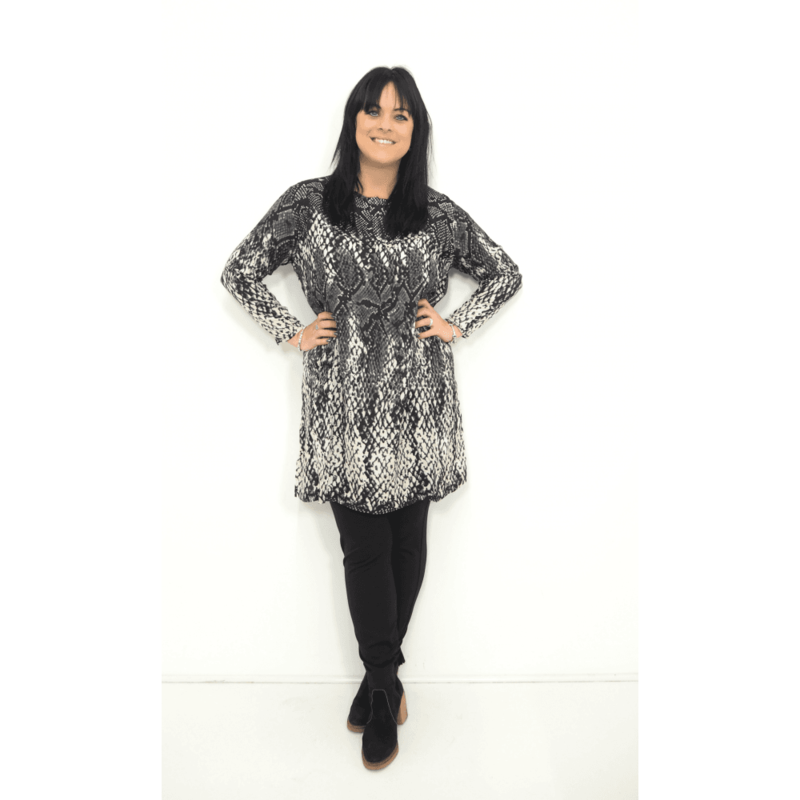 This gorgeous oversized tunic is the perfect statement piece for your wardrobe this season. We love this chic monochrome print with animal print detailing. This stylish tunic features some concealed front buttons, with side splits creating the most elegant loose fit. Perfect to wear all year round alone or layer with your favourite long cardigan for the cooler months.